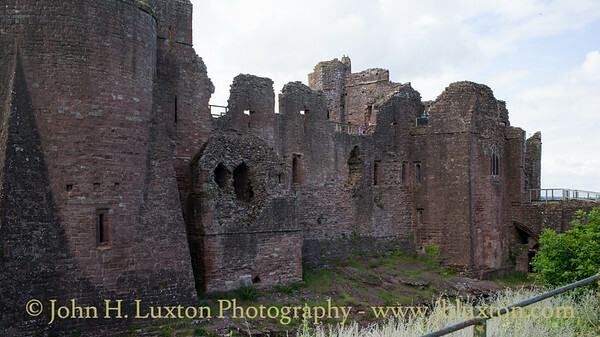 Goodrich Castle is a ruinous medieval castle dating from Norman times. 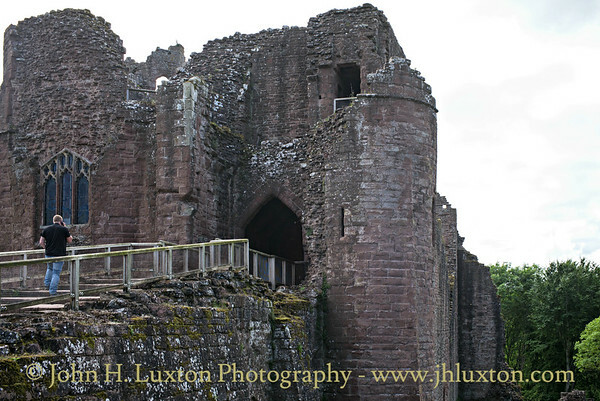 Situated to the north of the village of Goodrich in Herefordshire it controlled a key location between Monmouth and Ross-on-Wye. 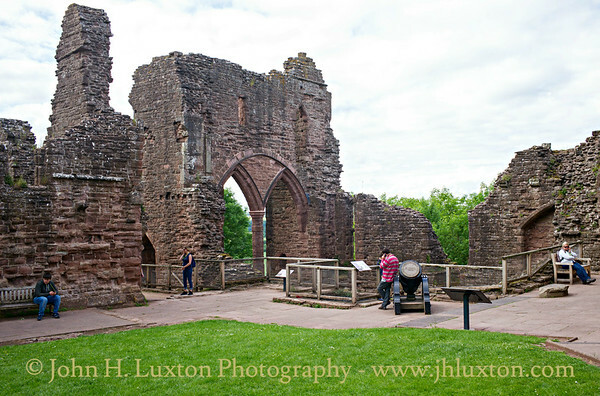 It was praised by William Wordsworth as the "noblest ruin in Herefordshire" and is considered by historian Adrian Pettifer to be the "most splendid in the county, and one of the best examples of English military architecture". View across the Court Yard to the Solar. 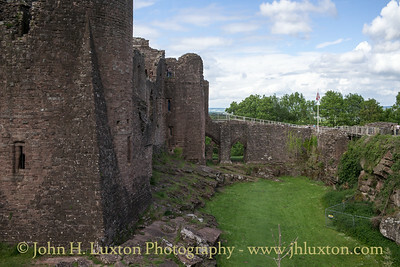 The 13th South East Tower and the rock cut ditch which surrounds the castle. 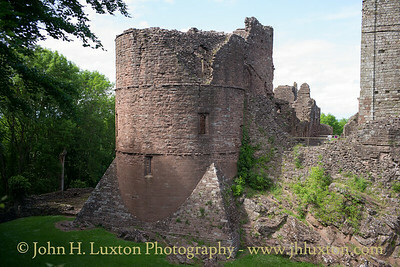 The South West Tower believed to have been rebuilt in either late 13th or early 14th Century. "To the Castle" - The 12th Century Keep and 13th Century East Tower seen from the path which approaches the castle site from the reception building. 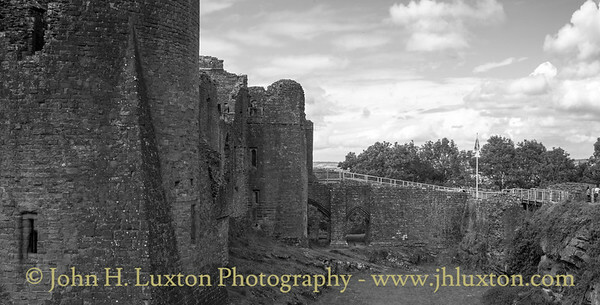 The rock cut ditch looking towards the access bridge which led from the 13th Century Barbican on the right. 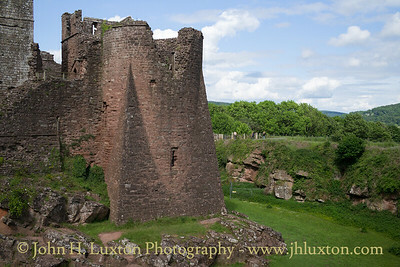 The Gardrobe Tower can be seen in this view, next to the South East Tower which housed the castle latrines. 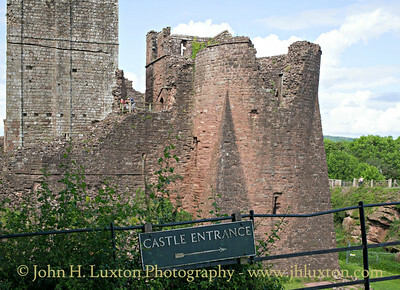 To the right is the castle gate house. 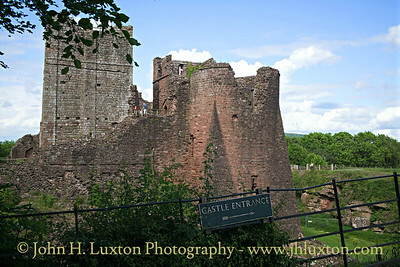 The Castle Gate House which also includes the castle chapel. 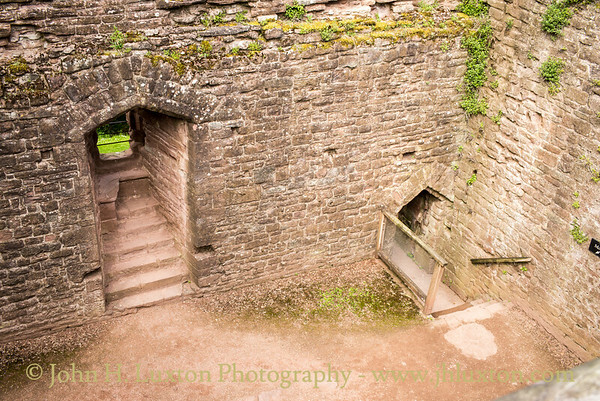 The window dates from the 15th Century replacing a much taller 13th Century window. 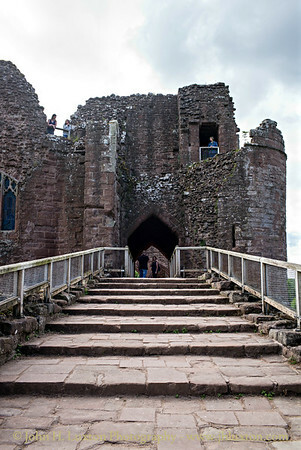 View across the bridge to the castle Gate House. 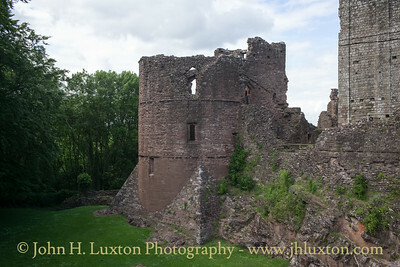 View along the east side of Goodrich Castle with the partially collapsed Gardrobe Tower and the South East Tower. 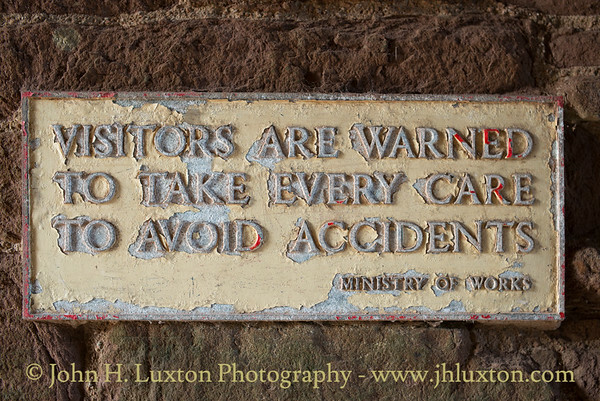 "Visitors are warned to take every care to avoid accidents" - Ministry of Works. The Ministry of Works was established in 1942 being renamed Ministry of Public Building and Works in 1962. 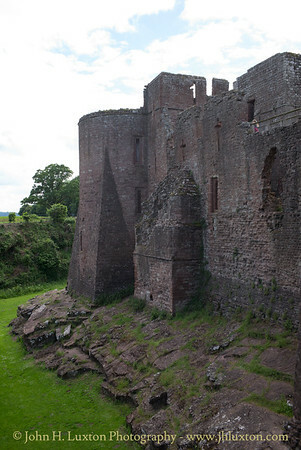 English Heritage took over historic properties in 1983. 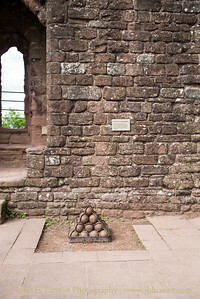 English Civil War cannon balls discovered on the site by archaeologists. 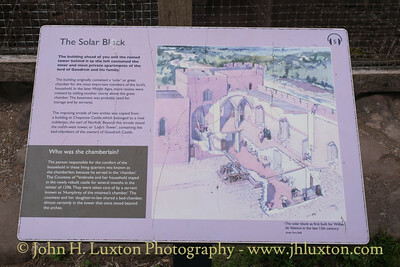 The North Range Solar Block with partially reconstructed floor. 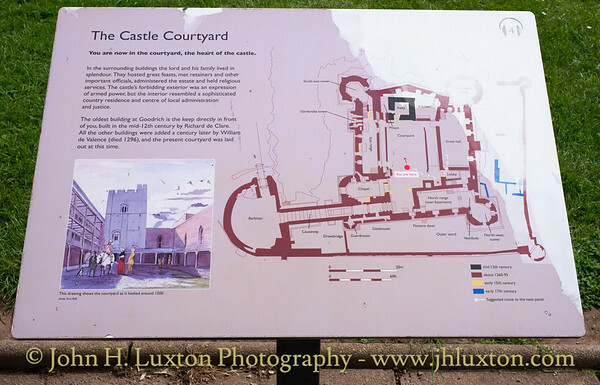 Interpretation board in the Castle Courtyard. 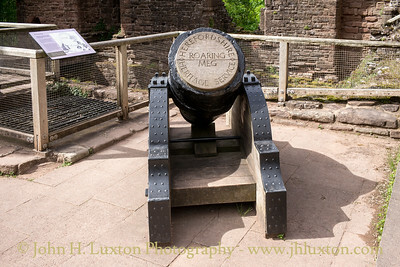 "Roaring Meg" the mortar used by Parliamentarian Forces" to attack the Royalist garrison during the English Civil War at the siege of Goodrich Castle in 1646. 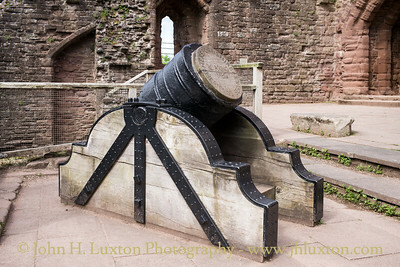 It was the largest mortar used during this conflict. 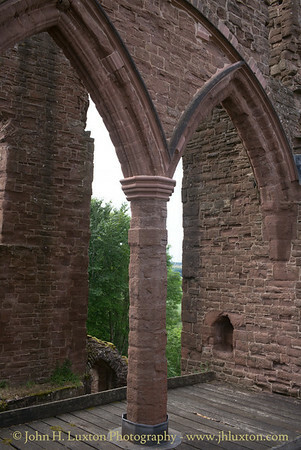 Details of the Solar Arches and partial replacement floor. 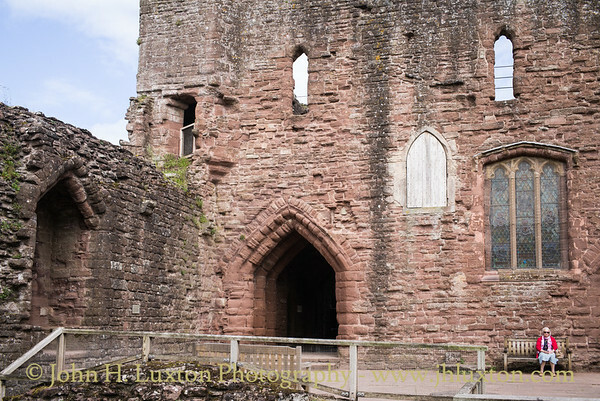 Court Yard view of the Gate House. 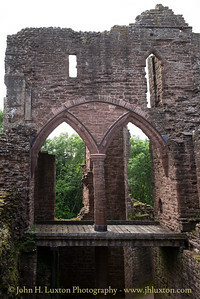 Chapel window on the right.